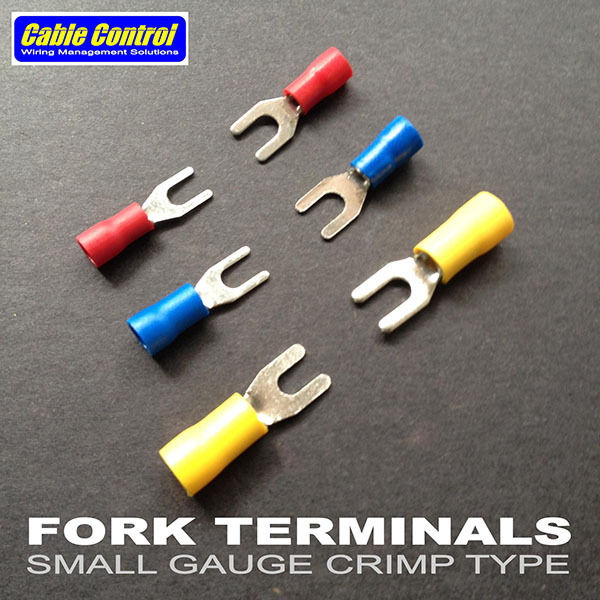 Cable Control's Fork Terminals (Spade Terminals) are perfect for screw-down terminal blocks. 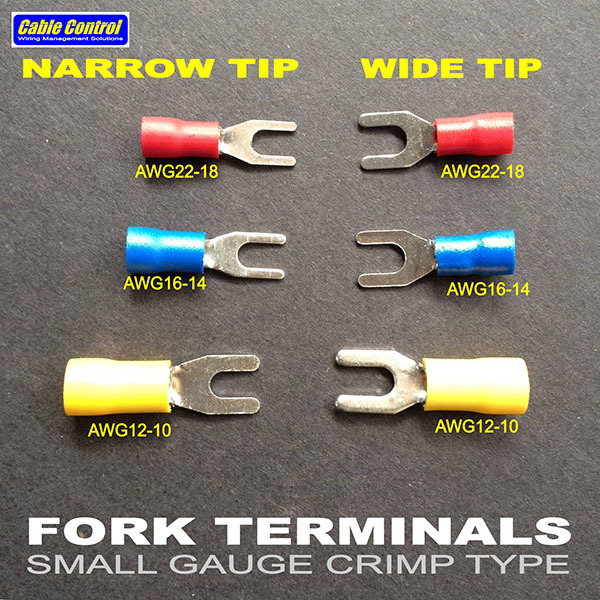 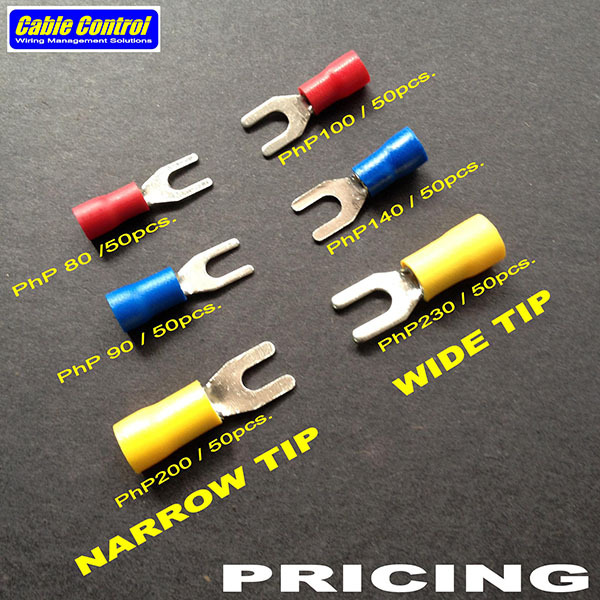 Organize your wire termination like a pro and avoid costly and dangerous shorts in the future. 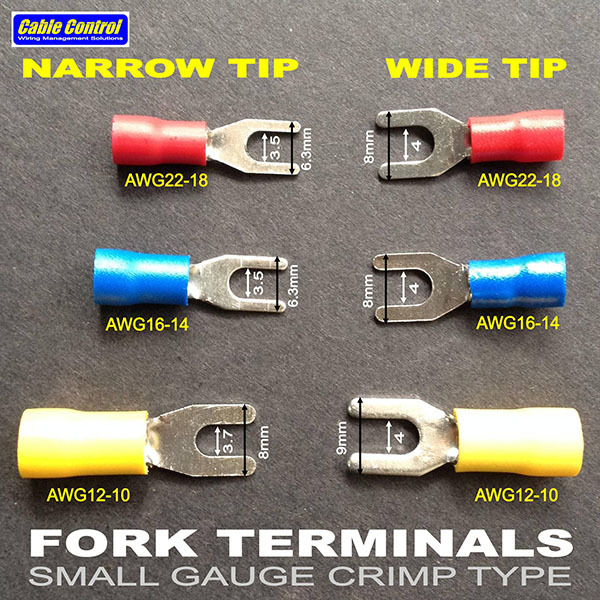 Available in narrow and wide tip to fit snugly into your barrier strip for best surface area contact.